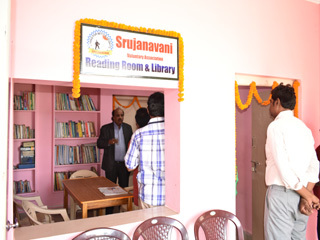 16 Nov 2018 Srujanavani Skill Development Centre, Veeravilli Agaraharam. A long cherished dream of Srujanavani to work with the farmer community has come true. Though nascent beginnings were made in the development of field testing kits, it was with the collaboration of South Asia LPG Private Limited (SALPG), that a strong and solid foundation is laid to serve them. 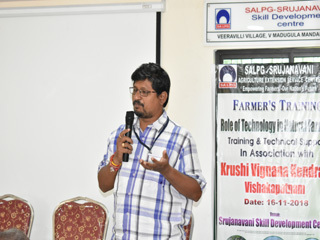 With the support of SALPG, Srujanavani has envisaged to promote Agriculture Extension Service Centre at our rural office covering 4 Mandals of VIsakhapatnam. The main objective of the AESC is to create awareness among the farmers on the merits of mechanised farming and provide them mechanised farm equipments at subsidized prices. This initiative helps reduce farm input costs and reduced farm labour. With the humble support of SALPG and the gracious presence of Shri. 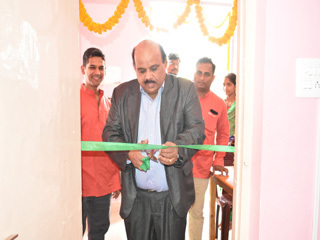 A. Subramaniam Krishnan garu, CEO-SALPG, the centre was inaugurated to the public. 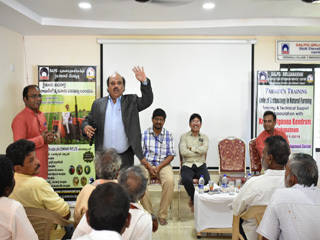 On this event, nearly 52 farmers were attended the program. 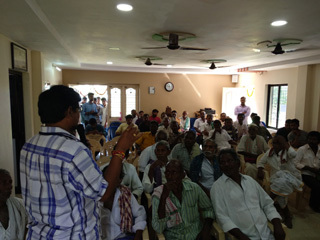 These farmers are the lead farmers to spread the news of the centre in their respective villages. We have leveraged this opportunity to work with the Krishi Vigyan Kendra - Visakhapatnam, for their support in providing technical knowledge to the farmers. Shri. 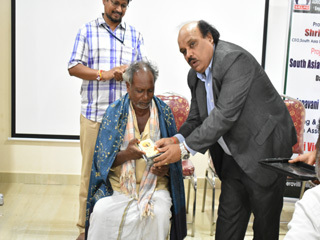 K. Tejeswara Rao garu, Sr. Scientist has graciously accepted our invitation and attended the event. He eloquently presented the use of Natural farming to the farmers and he also supplied the farmers with decomposer liquid bottles. 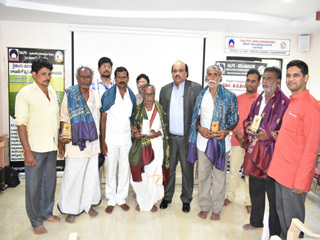 Finally, farmers (Adarsha Rythu, meaning Model farmers) were felicitated, of which some them are young farmers below the age of 30 years. 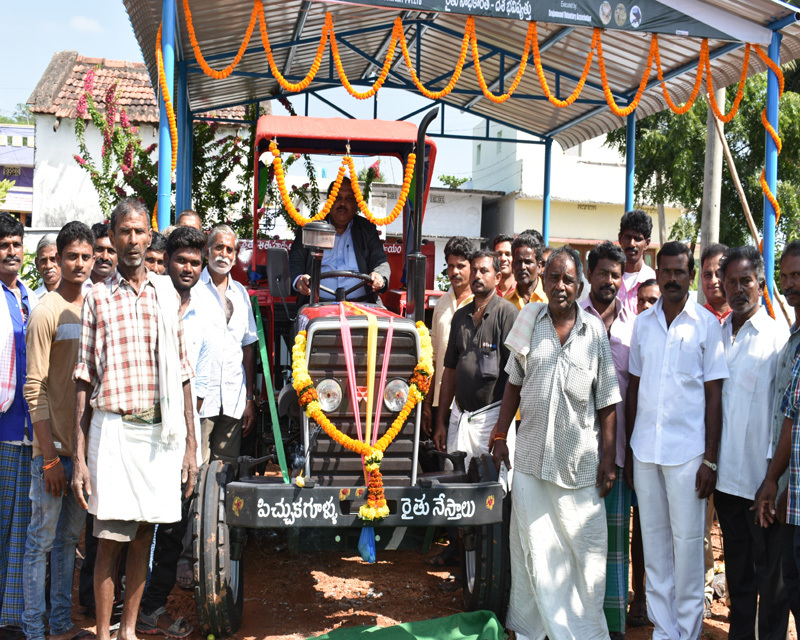 Some of the farmers have undertaken innovative techniques to increase their farm productivity. Subsequently, through the farmer collectives, we would be supplying Tractor, rotavator, mini cultivator, sprayers, tillers and harvesters, etc. to the farmers at subsidized prices.